There are a few more beaches that ought to be in this list. Unfortunately they are not maintained well, hence could not include here. 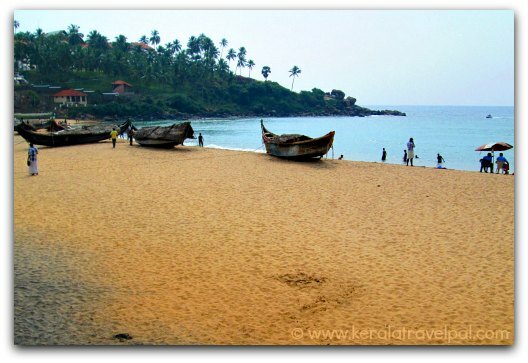 Kovalam beach is one of the well known travel destinations in South India. A country side of crescent shaped beaches and coconut groves, Kovalam became a hangout of hippies and other international travel folk, as early as the seventies. Although Kovalam partly lost its countryside appeal, it is still a charming place with plenty to see and do. There are three beaches – Lighthouse, Eve (Hawa) and Samudra. The first two are popular while the last one is shared by tourists and local fisher folk. What gives Kovalam an edge over other local beaches is the choice of things on offer. You can surf, parasail or have a boat ride in the sea. Better, you can even have a catamaran ride in the shallow sea. There are several good spots to swim or sun bathe. Out of the ocean, you can go for a backwater tour in a house boat. To top it all up, there is the local Ayurvedic massage and scrumptious food. Well, there is a lot more to do since Trivandrum is only 13 kms away. Trivandrum, the capital of Kerala, is a tourism hot spot by its own right. Varkala beach is highly rated by travellers who opt for a mainstream beach that still keeps its rustic charm. The wave of tourism is new for this lovely place. It only happened in the last decade or so. However, Varkala being a holy place for Hindus, people have been flocking to here way earlier than that. Near the beach is Sree Janardhanaswamy temple, a holy shrine which is about 2000 years old. This is one of the very few temples that conduct rituals for the dead. Some of these rituals are done at the southern side of the beach. Varkala beach is well liked for many reasons. The set up is in a class of its own with a high cliff running next to the beach. The cliff top is the place of all activity – restaurants, shopping, chill out, spectacular sea views etc. Not to be missed is watching sun sets from there. Friendly locals, less touting and a clean beach go a long way in winning people’s hearts. Also there is good choice when it comes to Ayurvedic massages, backwater rides and local tourist attractions. Marari beach is a choice if you are visiting Alappuzha for backwater rides. You can go there after sightseeing in Cochin too. The drive is about an hour (44 kms). Marari is not for everyone though. The beach is part of Maraikkulam, a traditional fishing village. So expect rustic settings and a limited set of things to. Tourism here revolves around a few ocean front resorts. The beach is mostly empty, so a great choice if you are after a place where left undisturbed. The highlight of this fishing hamlet is its beauty itself. 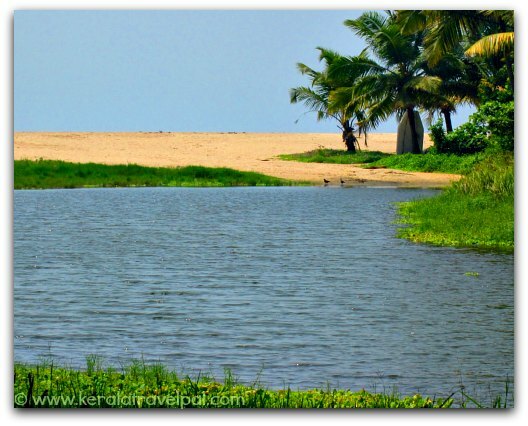 Cherai is a prominent beach in Central Kerala. There is some hype about Cherai, a good looking location where the beach and the backwater are on either side of the village strip. Cherai is great if you take backwater rides or explore the land on a bicycle or motor bike. The main beach gets crowded during peak time. If you travel a few of kms north or south, there are fine beaches visited by very few people. From Cochin, it takes a ferry ride to Vypin (10 mins) followed by a bus trip (half an hour) to reach Cherai. If you want to travel there by car, there is a detour through North Paravur, which is about 25 kms. Kizhunna and Ezhara are two beaches in close proximity. The northern end of the beaches, a rocky shore called Munambam, is a great vantage point as well. Not a lot of people know about these beaches. These are hidden gems, visited by a handful of tourists and a few locals. 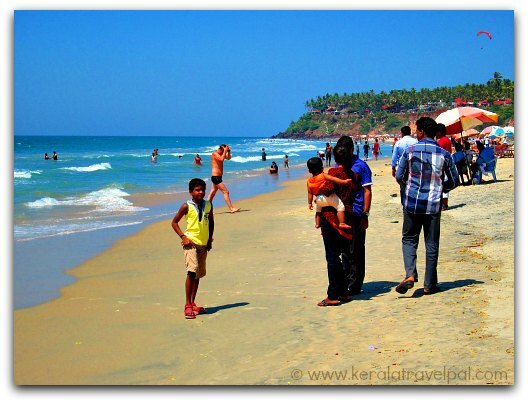 Kizhunna Ezhara beach is included among the best beaches in Kerala for its sheer beauty. So refreshing, this is the place to get away leaving all the worries that are brewing inside. Please do yourself a favour. Do not go there during June to September when the swollen sea eats up a chunk of the crimson shore. If you are intending on total unwinding, then the stay have to be ocean front. Mind you, the choice is very limited. Kizhunna beach is in North Kerala, about 11 kms from Kannur town. This is another beach in Kannur, just a few kms south of Kizhunna and Ezhara. 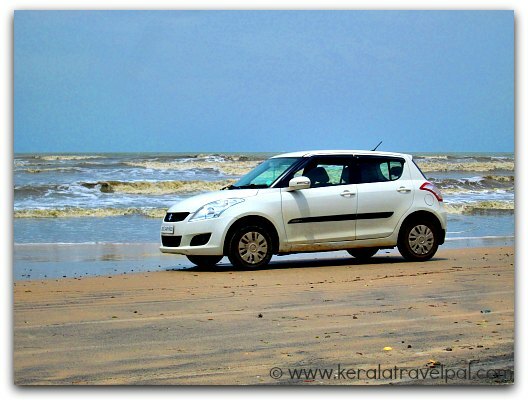 The fun at Muzhappilangad is beach driving. Tyres roll with ease along tightly held beach sand. So you can drive through the beach with peace of mind like you drive along a road. No need to restrict because the drive-able length is about 5 kms. The beach is about 7 kms in total. 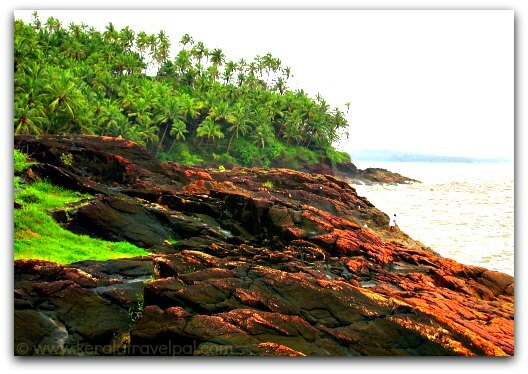 To the south of the beach is an Islet, Dharmadam Island, about a hundred metres into the sea. During low tide people walk to this island crossing less than knee deep water. The island has thick growth of vegetation which includes several rare medicinal plants. Muzhappilangad beach is about 15 kms from Kannur town. The beach at Bekal got much attention because of a large circular fort overlooking it from a promontory. The fort – beach pair up brought grandeur to the equation, in abundance for sure. Highlighted in song scenes, movies and promo ads, Bekal had a spectacular rise as one of the best travel destinations of Northern Kerala. 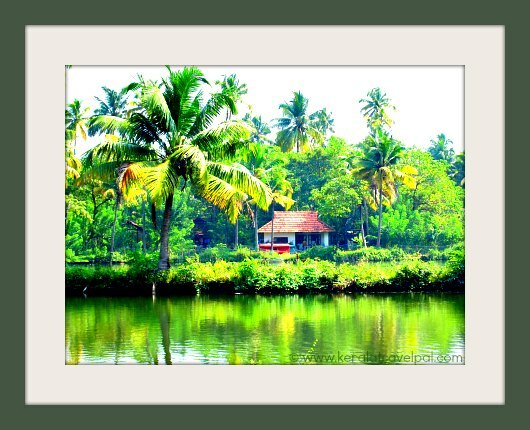 Bekal is about 16 kms from Kasaragod. For overnight stay, there is plenty to choose from.